Having lived for fifteen wonderful years in the Dubai and now currently in India,my taste buds have been hankering for some Middle Eastern flavours. Yes we did make a couple of short trips last year and revelled in all our favourite haunts. Especially the Lebanese,Persian and Moroccan ones.I’m very fond of Iranian cuisine ,especially the varied assortment of flavourful kebabs and the buttery,crispy rice that is an accompaniment with them.An all time favourite over the years has been the Pars Iranian cafe that served some of this deliciousness.This Persian rice is termed as a Zereshk Polo or very simply put-a Saffron and butter infused rice and garnished with some sweet and sour Barberries,which are ever so popular in this cuisine. A family dinner a couple of weeks ago got me making up some aromatic chicken kebabs and I thought I’d delight them all with a lovely Iranian rice dish. Zereshk translates into the Barberries and Polo is the rice in Farsi.So it was decided I would go ahead and serve this rice. It was just as well that my pantry had been recently replenished with packets of Zataar, Sumac,Freekeh,Dried lemons and of course a generous amounts of these tart and tangy Barberries that lend a burst of flavour to this rice dish. I had researched a couple of recipe sites and have opted for my own way of making this rice.It’s fairly quite a simple fuss free way.What is important that the barberries should be soaked in some water for about 20 minutes and then simply rinsed and sautéed in a little butter with a pinch of sugar.Yes as easy as that.I also choose to make up the rice in the usual way one would cook a fried rice at home.Some recipes called for layering the bottom of the pan with some thinly sliced potatoes to get a crisp and golden bottom called Tah-dig,however I’ve skipped this and made up the rice in my good old-fashioned way.You may also add some chicken to the rice if you wish. 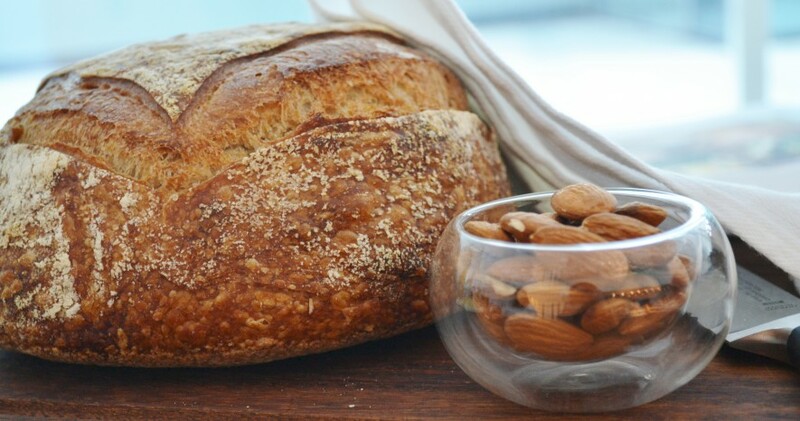 Do you love travelling and shopping for local Ingredients? My Pantry is now over stocked with food ingredients from various travels in the past year and needs some sorting out.Do share your travel and food experience with me.I would love to hear back from you. Rinse the rice a couple of times in water and keep it aside. Add the pepper and salt to the onions and stir in the rice. Bring this to a boil and stir in the rice gently. Add in the water and bring to a roll boil. Turn the flame on low,place a lid over the pan and let this simmer till cooked. Salute the soaked barberries in some butter for a couple of minutes and add in some sugar. Now once the rice is cooked sprinkle the saffron infused milk and strands over the rice and gently toss with a fork. Garnish with the sautéed barberries before serving. So delicious! Those barberries are such a lovely addition; will def have to get a packet for myself. Hey Tasneem..yes you must pick some up as they really add a wonderful tang to the rice…I picked my stash on a short trip last year…Oh how I miss Dubai!!! I am definitely trying this out..never tried rice with the Barberries.. 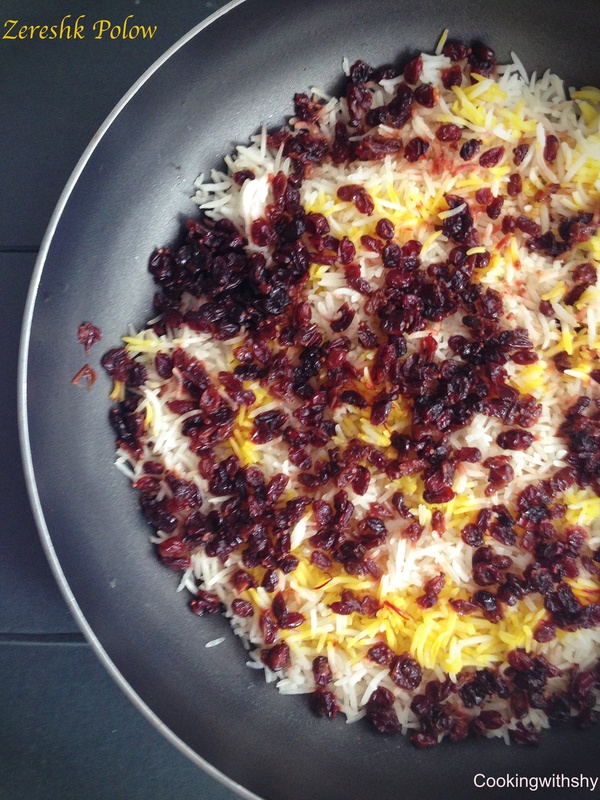 I believe the saffron and barberries would impart a lovely flavour to the rice.. This looks great! I’m not too great with cooking rice but I love rice especially with some dried fruit in it! Will have to try it out!